Our kids birthday parties offer many themed party options. The feature is the bowling, but we are a complete Family Entertainment Center, so let us help you imagine and create a birthday party your child will never forget. Teens and tweens love to party at Monterey Lanes. Maybe it’s because they can WIN spinning the birthday party prize wheel, or maybe it’s the instant image texting, or the outrageous pizza or the dozens of fun bowling themes. Starting at $29.95 per person (minimum 10) and includes full use of our state of the art facility. From activities in the Sports Bar & Grill to Team Building with our Xtreme interactive state-of-the-art bowling games, and more. Become a Member Now to Earn Bowling Rewards. 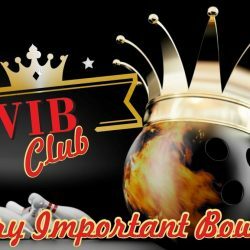 Join our VIP Rewards Program and every time you visit our bowling center, you will earn points for every dollar you spend having fun. Each point you earn can be converted to QCash and used within our center for food, bowling, or in Monterey’s Sports Bar & Grill. Start earning points instantly and can get online access in order to book reservations and earn points instantly.